For those of you who read my earlier post about Sublime Text, here is another amazing tool that you absolutely need to get familiar with instantly, Trello. Trello is one of those really intuitive tools, that once you get to know it, you can’t live without it. Some might call it a “project management application”, but I think it’s so much more than that! It is a web-based collaboration tool for organising and managing almost anything. 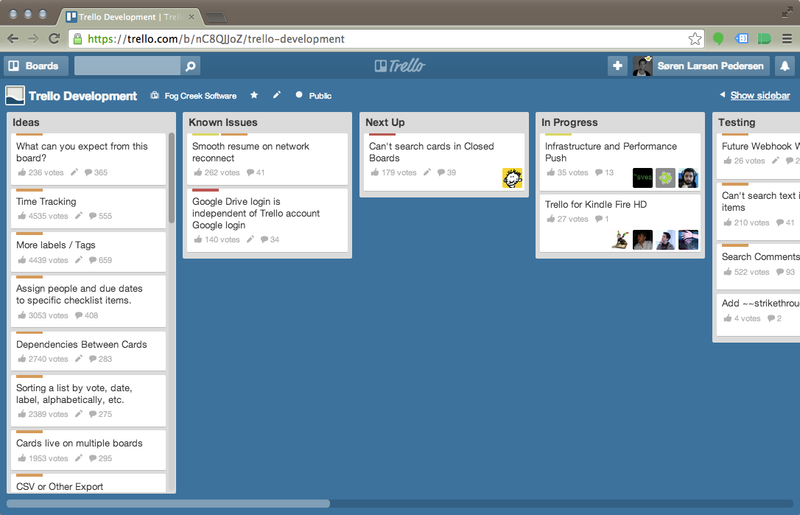 Showing a board in Trello. I first started using Trello while working as a web developer for one of Denmark’s largest tabloid newspapers. In my team, we used it both for organising and managing within the team, but also for sharing and collaborating on projects with external developers. Trello was the perfect tool for this, and it was really easy to manage projects, assign tasks, create checklists, but also to review what we as a team had earlier agreed upon. 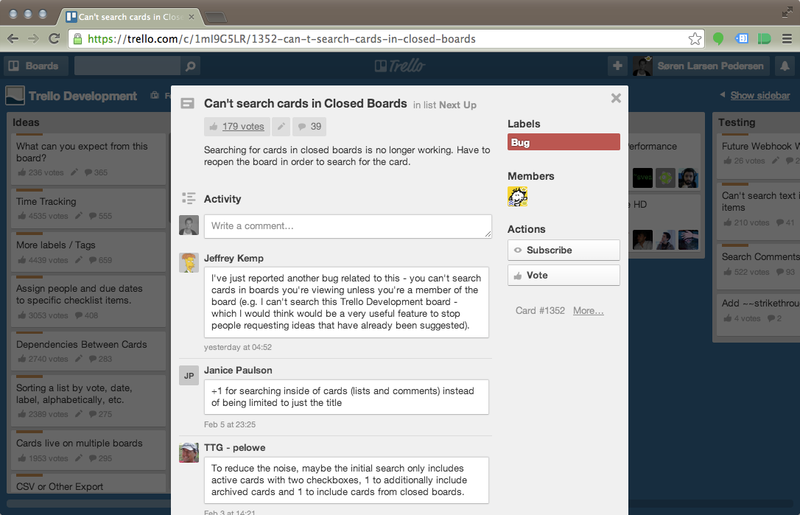 Showing a cards from a board in Trello. Later I started working as a web project consultant for one of the largest banks in Denmark. In the beginning I used to have a whole bunch of handwritten to-do lists all over my desk, but then I remembered Trello. I quickly plotted my to-do lists in and presto! Everything became so much easier! Now several of my co-workers have joined in, and we have created various different organizations, broards and cards, where we are both managing own projects and assignments, but also collaborating on larger projects – Thanks Trello! Last week I even started working with the Trello API in my spare time – and by now I’ve already created a dashboard for monitoring one of my organizations with latest activities, custom notifications and general metrics. So my question to you is: Why haven’t you signed up for Trello yet?! Stay tuned for various tips and tricks for Trello – and maybe a post about their API.